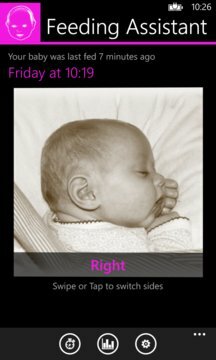 Extra features on The Baby Feeding Assistant are a timer, that you can choose your own photo and theme, either based on your phones theme or one that is fitting to your baby’s gender. 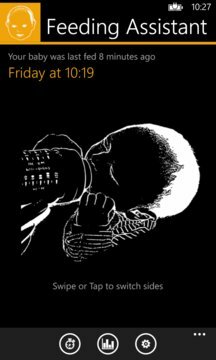 Also, will The Baby Feeding Assistant show the last feeding time on the back of the tile on the start screen. Of course we encourage the natural way of feeding, but due to censure we have chosen for a picture with a baby that is fed by bottle.